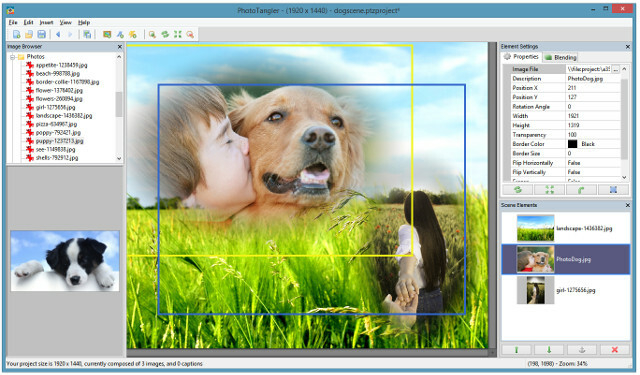 PhotoTangler is a powerful image utility that instantly turns your favorite photos into beautiful collages. It allows you to blend them together in unique and creative ways. It's easy, fun, and the results look like magic! Just drag-and-drop photos on the canvas, and watch PhotoTangler seamlessly blend them together with any other photos nearby. Anyone can get professional looking results, even with no graphics experience! 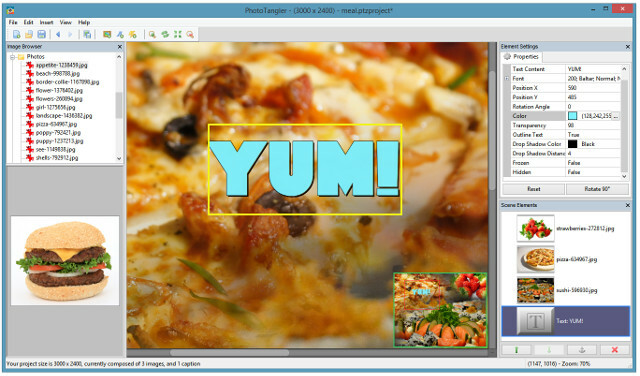 Unlike many collage makers out there, PhotoTangler does the hard work behind instantly merging photos together for you. Instead of getting caught up learning grueling technical details, you can focus your time and energy on making gorgeous photo projects! Whether you're using it for digital scrapbooking, to make a quick gift for a friend of family member, or even as a marketing tool for your business, the results will surely impress. And best of all, there's a safe, free trial version for you to explore right now. If you're new to PhotoTangler, we recommend downloading the free trial, watching the video tutorials, and purchasing with our limited time discount promotion. Choose from a range of common project sizes and settings to get started quickly on your next masterpiece. At any point you're happy with the results, you can export high-resolution JPG or PNG files for easy printing or sharing. The preview in the bottom corner always shows what the 'final' image will look like, no matter what portion of the canvas you're focused in on. Get your message across by easily adding customizable text captions to your project. Make your projects really shine by using a selection of customizable image effects. And keep an eye out for additional effect packs in the future! Would You Like to Try It Out For Free? 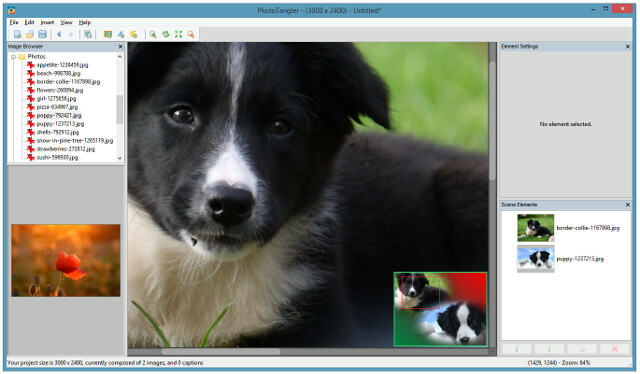 The current release is PhotoTangler 2.0 (06/27/2016) for Windows XP/Vista/7/8/10. Support for OpenGL 3.0+ is required. Please ensure you have the latest graphics drivers for your system. The free trial version is available to ensure it works to your satisfaction on your system -- please make sure to try it out before purchasing the license below! Once you've decided to unlock the full version, the only step left is to choose your purchase price. That's right, for a limited time we're offering an incredible deal where you can pick your own price to get your hands on the full version of this unique piece of software! 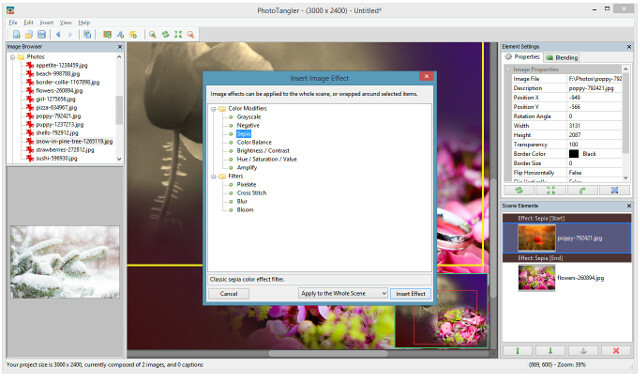 All of the options below offer the exact same product: an unlock code for the full version of PhotoTangler 2.0. 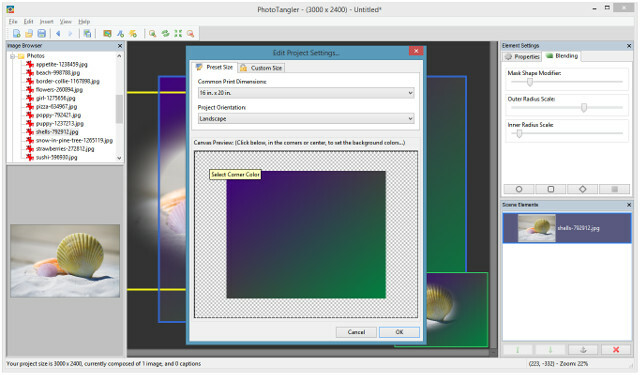 As soon as your payment is processed, a registration code will be e-mailed to you with simple instructions to unlock the full, premium functionality of PhotoTangler. within 10 days of purchase for a full refund. 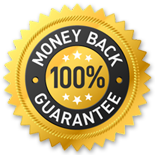 All we ask is that you please try the free version of the software before purchasing it, to avoid unnecessary processing of refunds should you discover it isn't a good fit. Please note that we are unable to offer direct refunds for the Mac, iOS or Android versions of the collage maker at this time, but you can contact the appropriate store for additional help you if you're unhappy with your purchase. To purchase a license at our promotional discount rate, click here now!